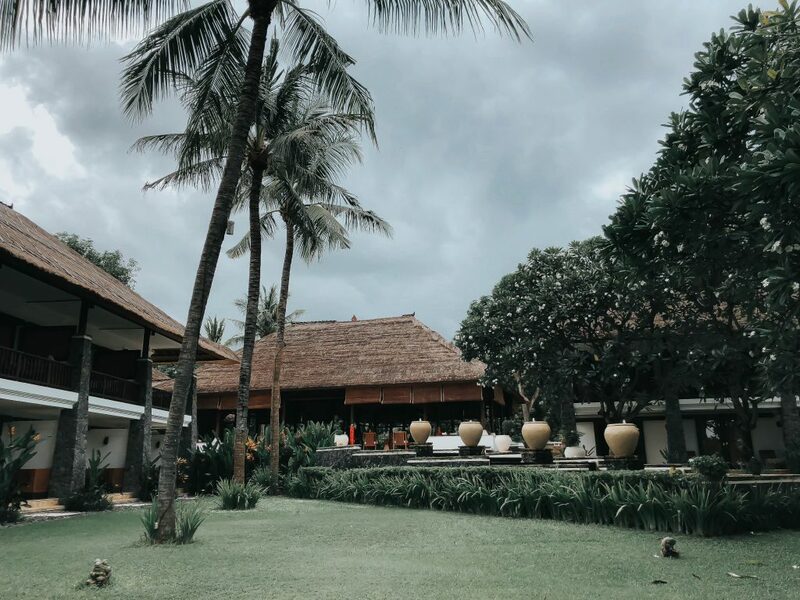 I had the fantastic opportunity to explore north Bali and stay at the beautiful Spa Village Resort, Tembok Bali during my Bali Trip. When I touched base at Denpasar Airport Bali, we were welcomed by the hotel hosts and were given fresh cold towels and water to unwind. The resort is 3 hours’ drive from Bali Airport, and the hotel organised a half day trip for us to make the journey intriguing and exciting. On the way to the hotel, we passed by Ubud, viewed as the centre of Bali where we had our tasty supper at a traditional Balinese restaurant overlooking paddy fields. The northbound adventure through the mountains gave emotional perspectives. 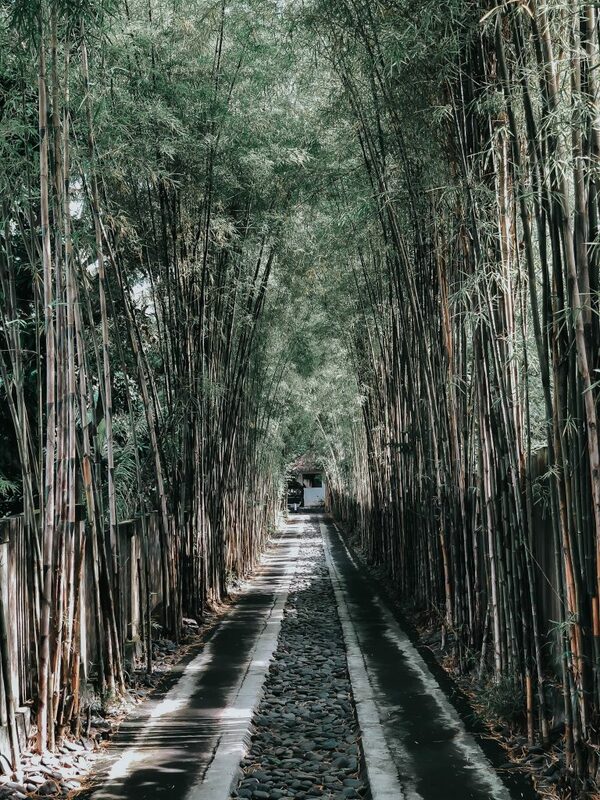 Our drive additionally took us through the pretty towns of Dause and Bondalem; we passed Mount Batur going through twisting streets towards Karangasem, on the way we saw the majestic Mount Agung, after which we reached the Resort. 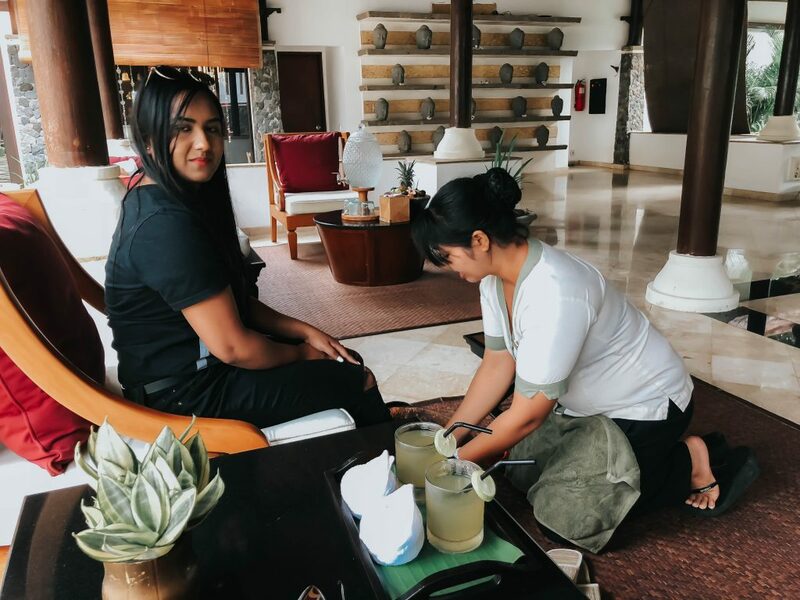 So once we reached the resort, we got a warm welcome from the staff with a refreshing welcome drink which followed by a mini pedicure, shoulder and foot rub. 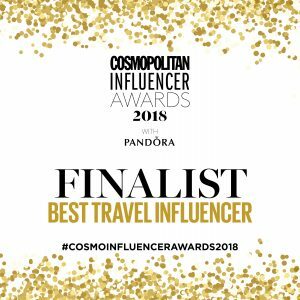 Our luggage with our shoes soon disappeared into the hands of the enthusiastic staff that carried it to our room. The hotel manager offered us a tour through the resort and took us to our beautiful room called Kamar (deluxe room). 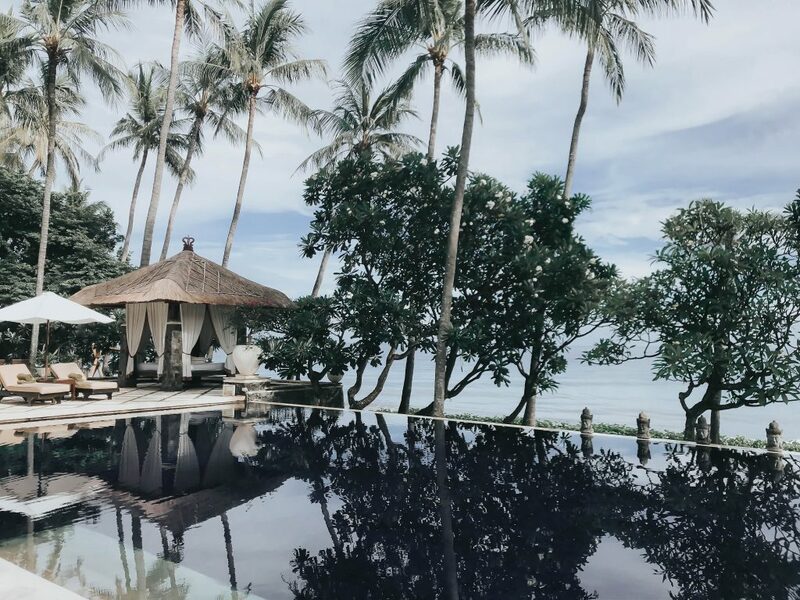 The centrepiece of the 31-room resort is the infinity pool infringed by exotic palm trees and thatched bale pavilions overlooking the sea. 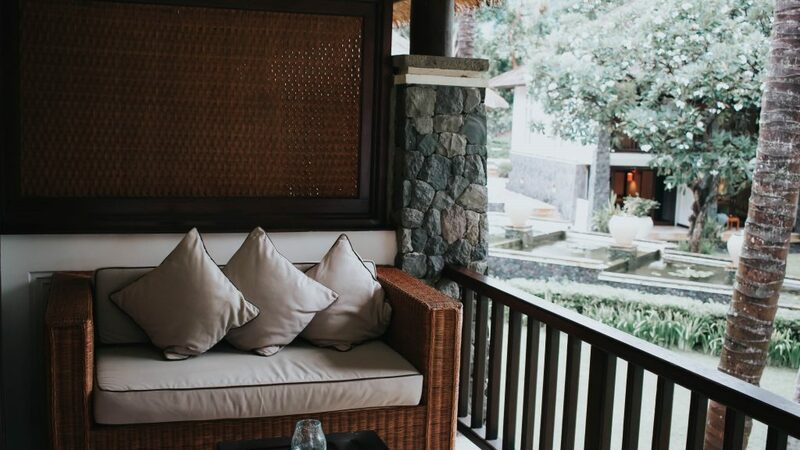 On arrival, the first thing I did was whip out my camera and take photos of the hotel’s extraordinary architecture that blends western elegance with traditional Balinese style. The main lounge and boutique is located in the entrance building, and then jigsaw-like paths take you to the gardens, spa, restaurant, gym, pool and the rooms. The hotel design exudes sophistication and luxury yet feels simple with the use of natural timber and simple local decorations. 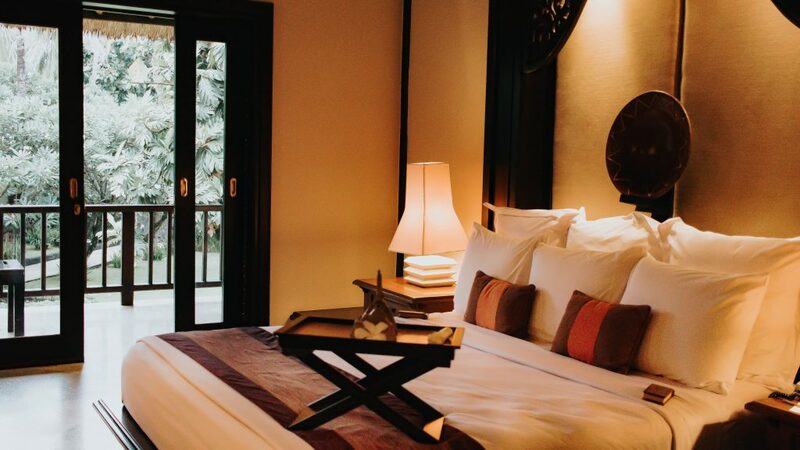 With the delicate conventions of Balinese culture, the Kamar room is an excellent combination of modern luxury comfort with an exotic feel. The dark wood theme and the use of natural fabric creates an environment of serenity and peace which helped us unwind in style. My favourites were the spacious marble washroom and the big balcony with great views of the garden and pool. One of the major highlights of the Spa Village resort is the exceptional spa facilities that they offer. 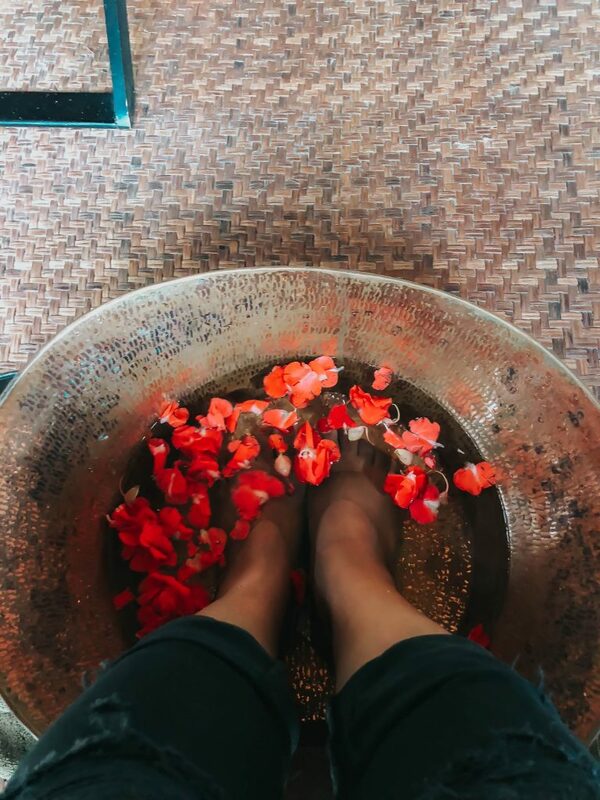 Look out for a full blog post on the spa facilities which included daily massage, body wraps and facial. 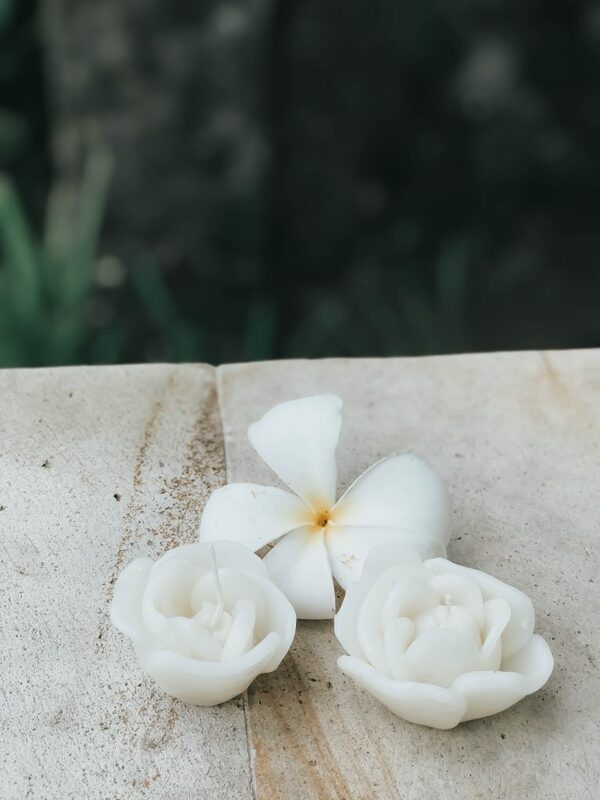 There are quite a lot of activities that have been created by the resort around the spa treatments to help guests relax and rejuvenate yet feel active and healthy while at the resort. 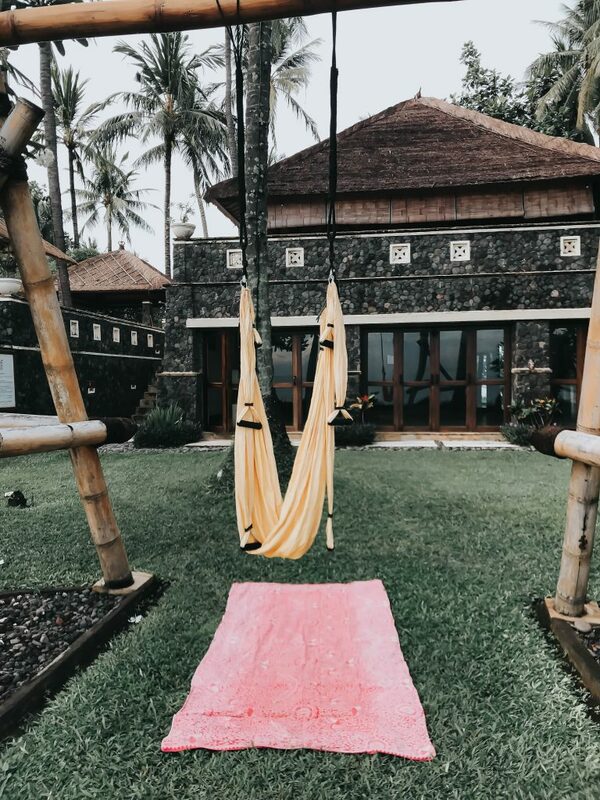 On day one we got up early in the morning to try yoga swing in the garden overlooking the black sandy beach while hearing the waves. 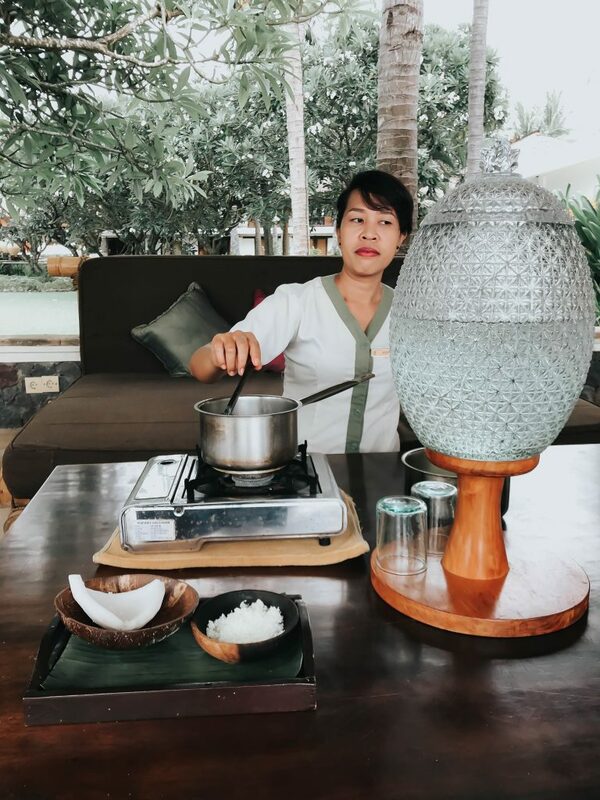 After having breakfast, we also participated in the traditional Balinese candle making workshop where we made mind-blowing shapes enlivened by the encompassing native habitat. The second day we attended the Lontar Drawing workshop. Lontar drawing is a craft of engraving on Lontar which is produced using the leaves of the rontal tree. 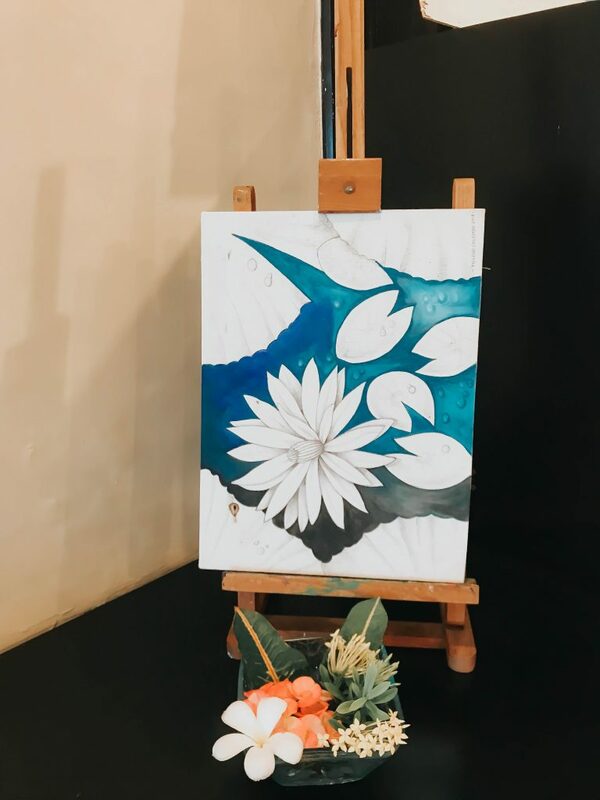 The Lontar Drawing was one of my favoutire activities as I love learning about local art and craft. Another activity that gave us an insight into Balinese culture and kept us on the move was the traditional Balinese dance class. I had great fun watching Balinese dance and learning the dance form myself. 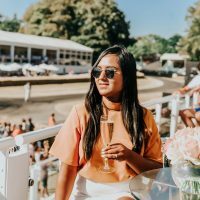 Being a huge fan of coconut oil and using coconut oil to cook daily in London I was intrigued to know how coconut oil is made, so we participated in the coconut oil making workshop. It was the quite easy procedure, and I learned the skills to make it at home. 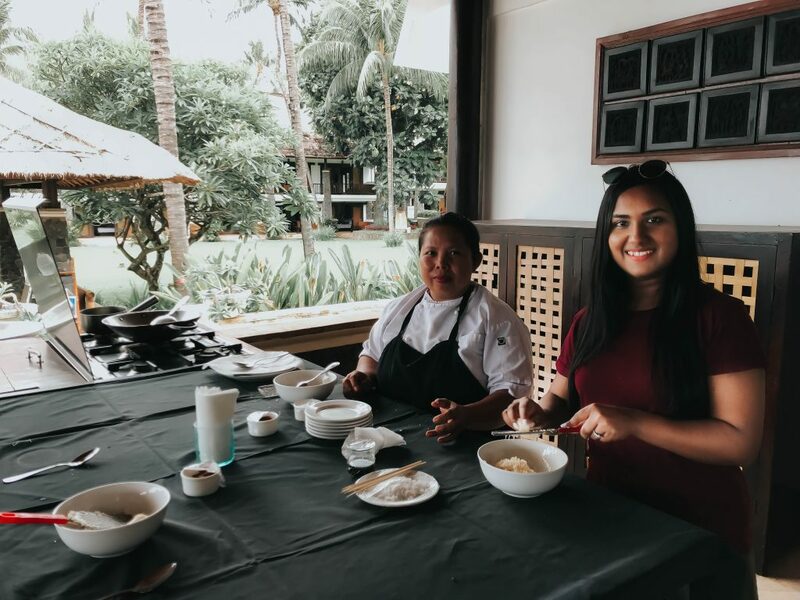 I have had the best healthy food in Bali and wanted to take back some tips back home, so the intuitive cooking class taught us some healthy and easy dessert recipes. We made Jay Satay (cassava ball sticks) and Pulung Wubi (cassava fricasseed balls). 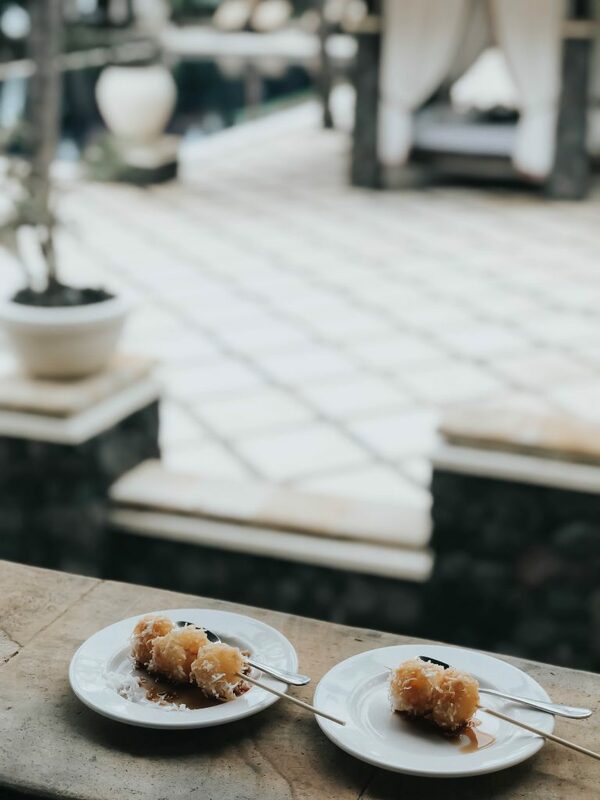 The resort’s only restaurant called Wantilan is a fantastic place to experience Balinese cuisine and enjoy the captivating views of the ocean. 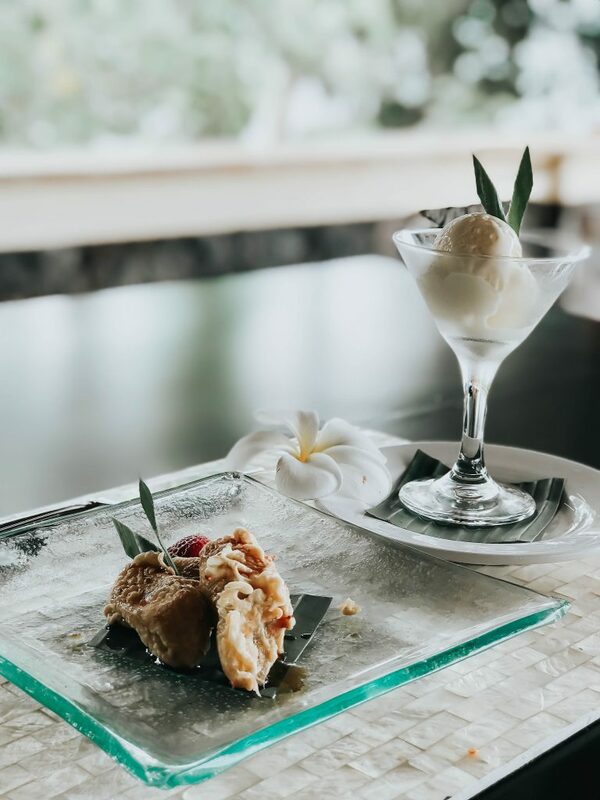 With a traditional thatched roof, the restaurant has no walls and showcases traditional artwork and rattan furniture created by local craftsmen. 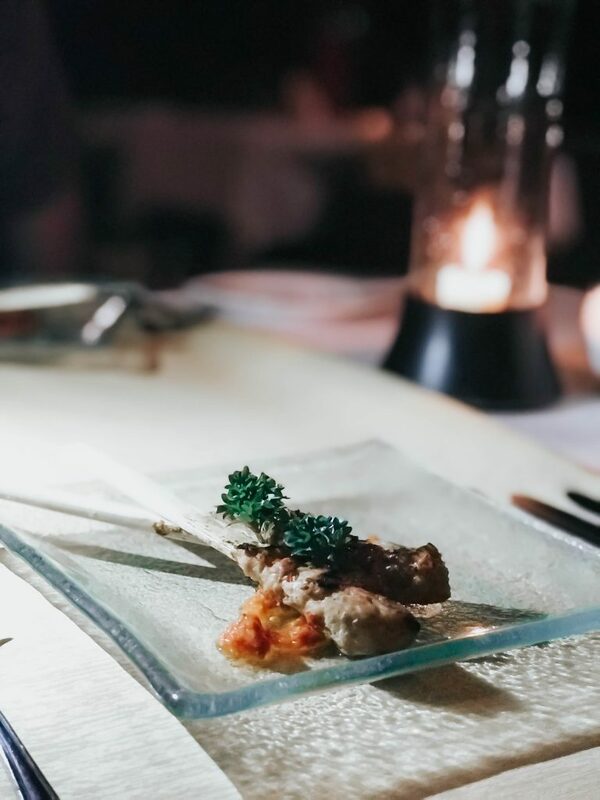 The restaurant offers regional Balinese cuisine and international cuisine using only the freshest market produce teamed with exotic ingredients. We were offered shots of freshly made soup and cold towels before tucking into our starters each day. One of my favourite was the Sate languan lilit, minced fish on lemongrass skewers, served with tomato sambhal. The sambhal gave it a nice kick and the fish was so fresh and delicate. 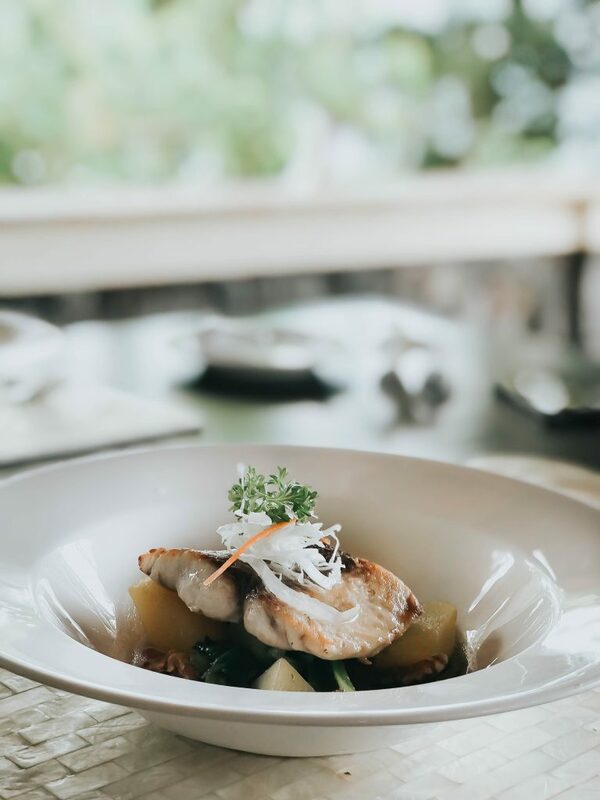 I enjoyed all the main courses during our stay, but I would love to mention the pan-fried local fish filet with chilli, coriander, garlic and ginger served on wok-fried baby pak choy with cashew nuts, potato and sweet soya glaze which was just out of this world. 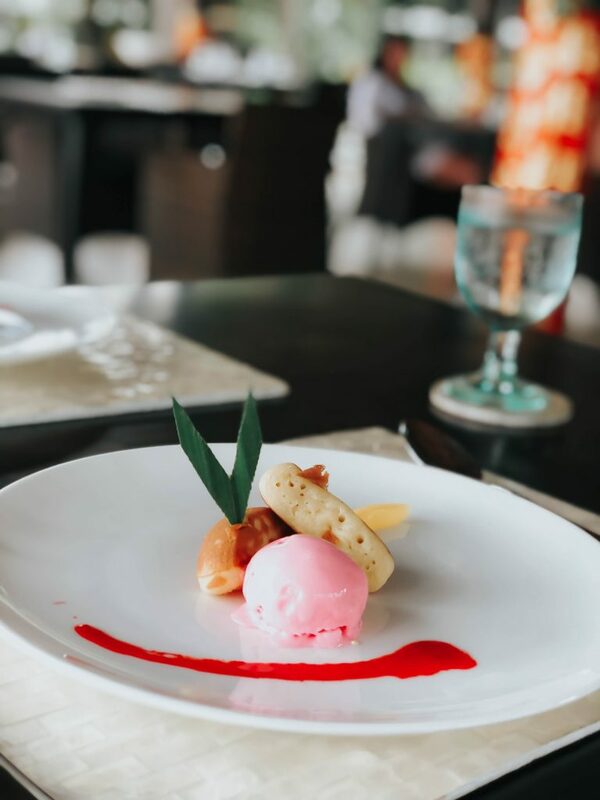 The desserts at the restaurant were all so delicious, but my absolute favourite was Kolak Ubi (poach cassava on coconut milk and palm sugar infused with pandan leaves). I have never had such a healthy yet delicious dessert and the best part it was dairy free. 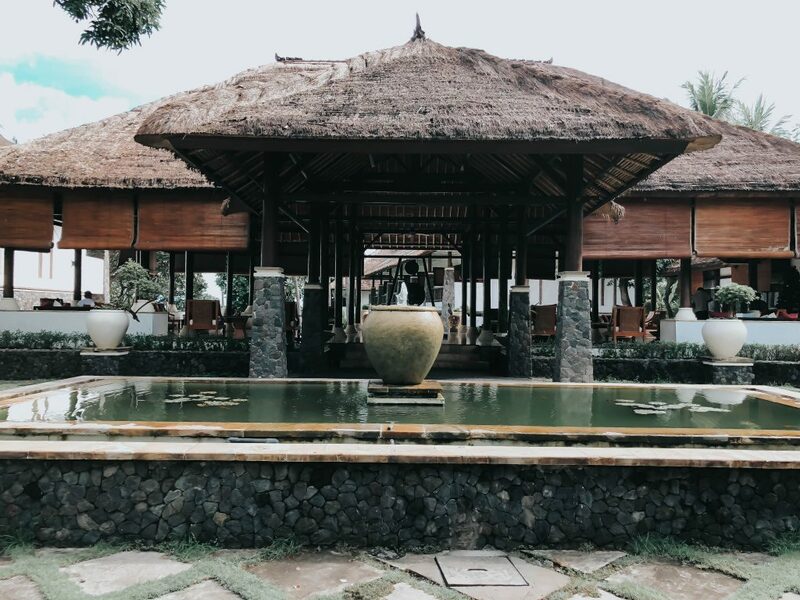 The Spa Village Resort was one of the most luxurious and relaxing places to introduce yourself to Balinese art, culture and way of life. 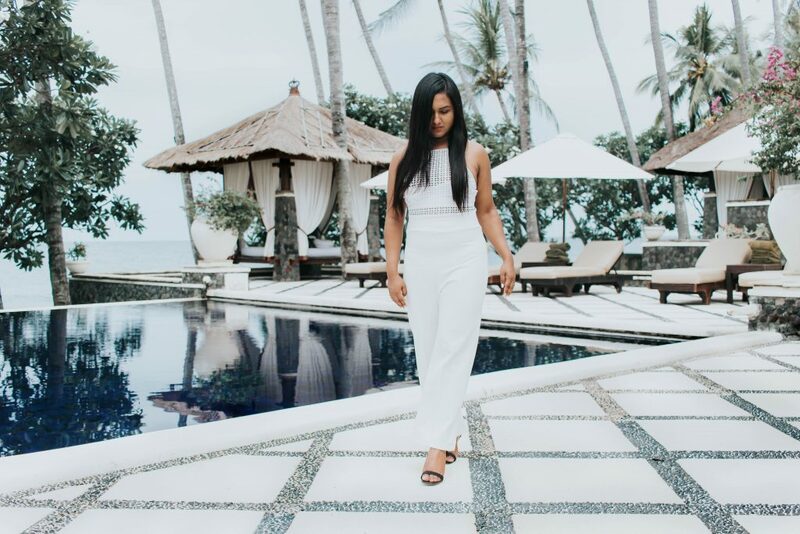 The genuine warmth of the hotel staff, the excellent spa facilities and fine dining is worth experiencing if you are heading to Bali.